Solids are coming to The Rosemary Company! 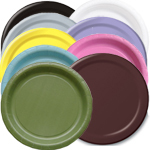 Over the last year we’ve been adding solid color tableware to our site. To save you MONEY without sacrificing COLOR or STYLE. 1. 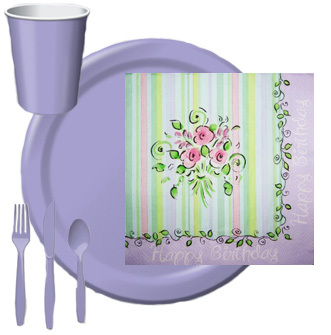 SAVE MONEY: Our solid color partyware is packaged in bulk, which means you get more for your money. For the same price that you would generally pay for 8 plates or 16 napkins, you’ll get 24 plates, and 50 napkins. Savings! 2. ADD COLOR: It’s so easy to mix and match with solids. 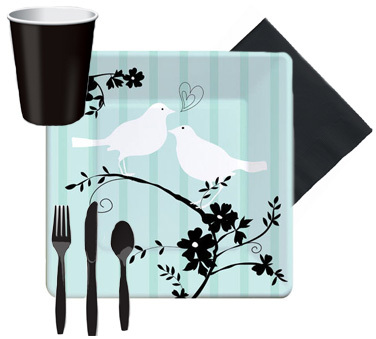 Take the themed tableware you like, say 2 Love Birds, and match it with a few select items in solid colors. Black Velvet goes perfectly with the 2 Love Birds line. Instead of ordering plates, napkins, tablecloths, and cups in the 2 Love Birds design, just order the plates and make the rest solid Black Velvet. 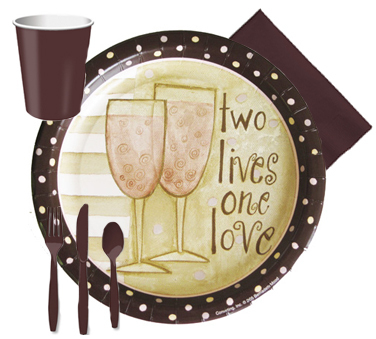 Not only will you save tons of money, but the 2 Love Birds plates will look amazing against your solid colored tableware. 3. Throw a BIG party: With our bulk amounts, you can afford that huge party you wanted. Get 50 luncheon napkins for only $3.75! That is a HUGE bargain. We have an enormous variety of solid colored tableware for you to choose from: Classic White, Mimosa Yellow, Candy Pink, Pastel Blue, Olive Green, Chocolate Brown, Luscious Lavender, and Black Velvet. 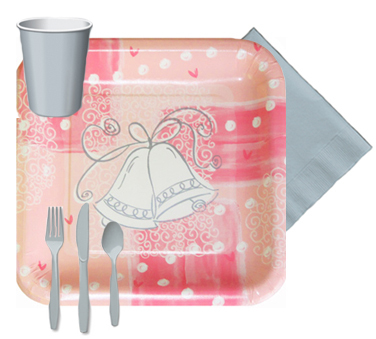 We also display our solids with our patterned tableware, so you can see which colors match which themes. Please CONTACT USif you have any questions about whether a solid color will match the theme you’re interested in. We’re more than happy to help you find just what you’re looking for!